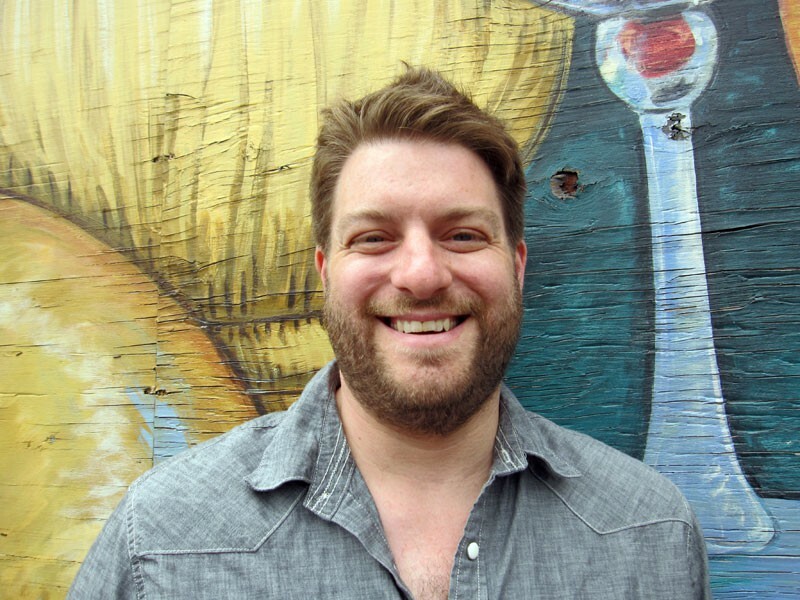 June 2011 | Blog | Di Bruno Bros.
People are always asking you questions, so you have to learn stuff constantly. 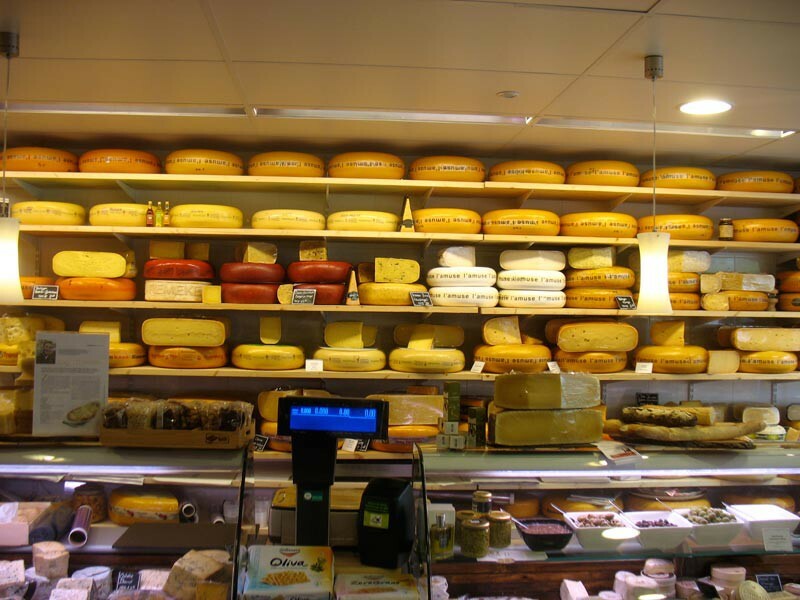 For example, when I started I didn’t know about vegetarian rennet [a coagulant used in cheesemaking], but customers would come to the counter and ask for “vegetarian cheese.” Now I know to point them toward Portuguese cheeses, like La Serena, Gardunha, and Azeitao. They’re all made with rennet from cardoons, which are like thistles. Until I really got into cheese a few years ago, I never considered eating a hunk of the hard stuff, like Parm or Pecorino, unless it was grated. Now I know better. 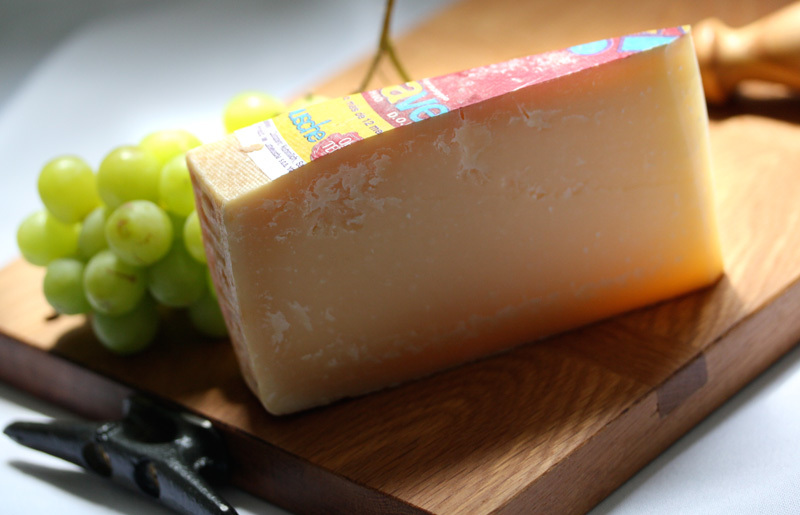 Some of the tastiest cheeses are relegated to “accents” in part because they have so much flavor. Eat them just as they are, without starches or sauces, and you’ll be surprised how delicious they are. 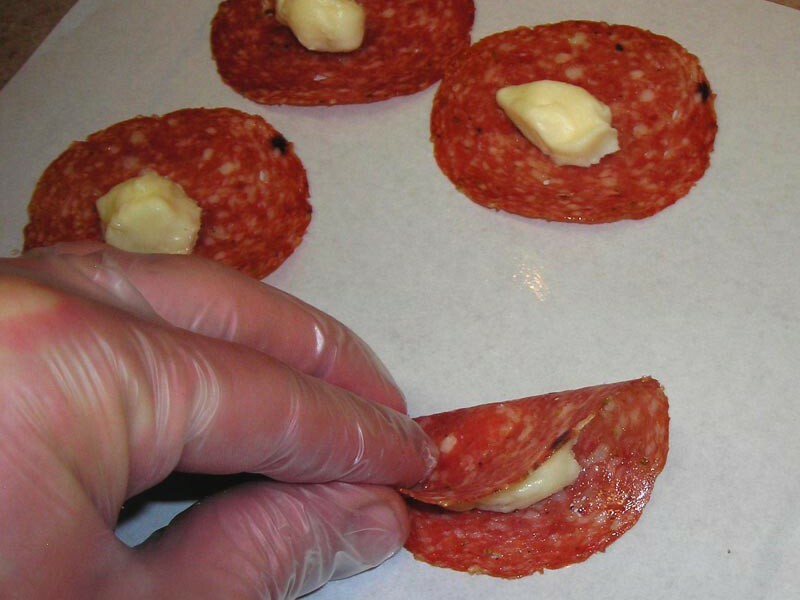 One of the most enjoyable perks of being a Di Bruno's cheese monger is what we like to refer to as culinary pioneering. Sniffing down leads and gathering information (and the occasional sample) of new and exciting cheese is a constantly rewarding and exciting process. 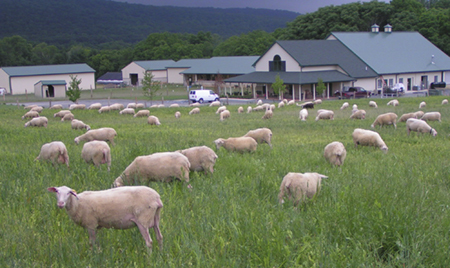 If being at Di Bruno's gives an enterprising cheese lover a chance to be a culinary pioneer then the constantly expanding and always changing world of Artisan cheese represents the frontier of the gourmet food world which a cheese monger has to move toward to stay on top of their game. New Deep Discounts In Stores Now! 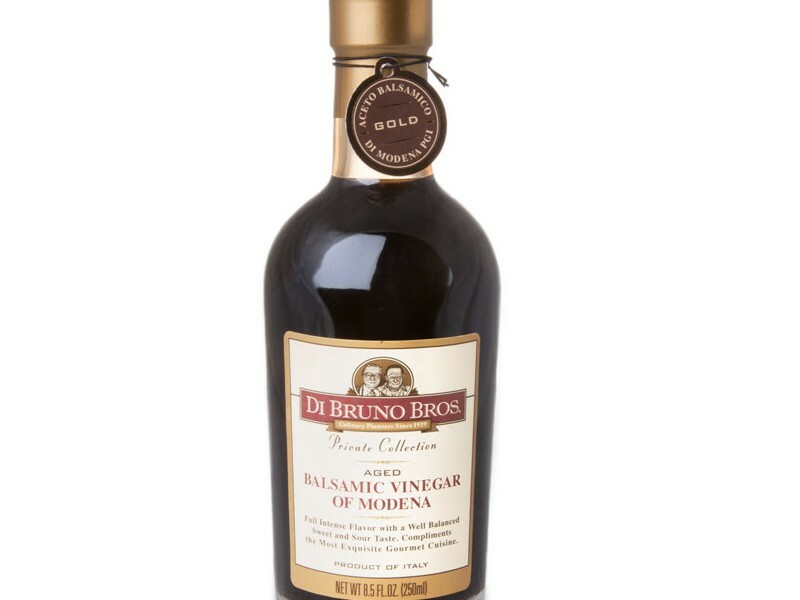 Di Bruno Bros. has new specials, starting today! Stop by one of our retail locations and grab some goodies while the deals are still hot! I have decided to do a blog post about cheeseburgers, the ultimate in summertime grill traditions. 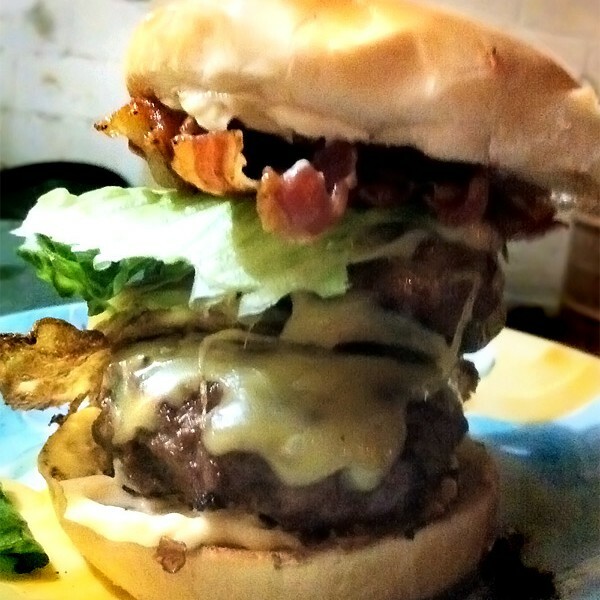 The plan is to reinvent the American classic, ranging from super gourmet, to the down right greasy and delicious. Un-notch your belt and get ready enter flavor country with my salute to cheeseburgers. Cheese and meat, meat and cheese, easily my two favorite things to sell at Di Bruno Brothers. When you have two great things (much like peanut butter and jelly) sometimes you have to mix them together! Waking up in Amsterdam for the first time is like waking up on Christmas day. The excitement was palpable and expectations were high as I rolled out of bed and meandered through the morning routine. Today, we are touring Friesland with Betty Koster. Betty is the owner of the L'Amuse Cheese Shop, the finest in Amsterdam, and is an international ambassador for all Dutch cheeses. Homemade pizza is one of my favorite dishes to prepare and I love experimenting with different cheeses and toppings. This week I decided to make a three cheese pizza. 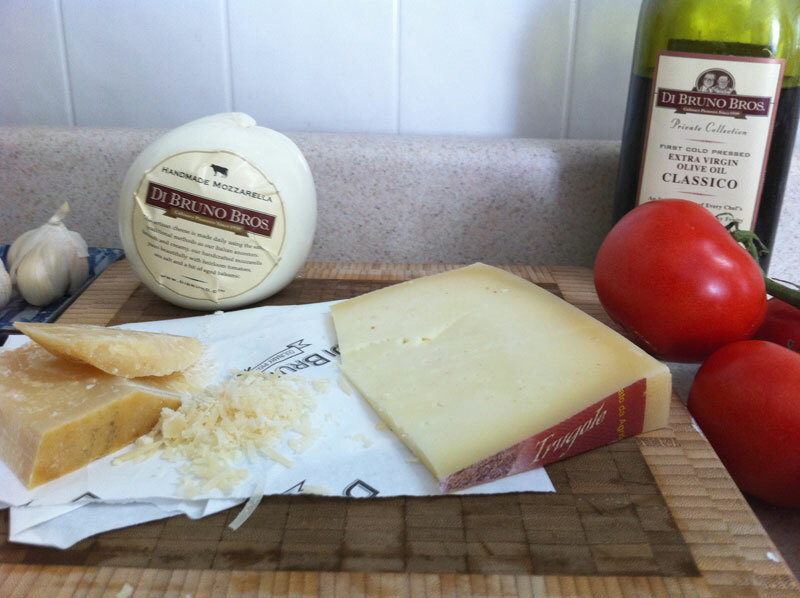 I started with my two staple cheeses, Di Bruno’s handmade mozzarella and 30 month Parmigiano-Reggiano. On the first sticky day of summer, I walked down to Philadelphia’s Italian Market in search of something cool, and I came home with burrata. Cheese and humidity don’t always mix, but then, burrata isn’t ordinary cheese. 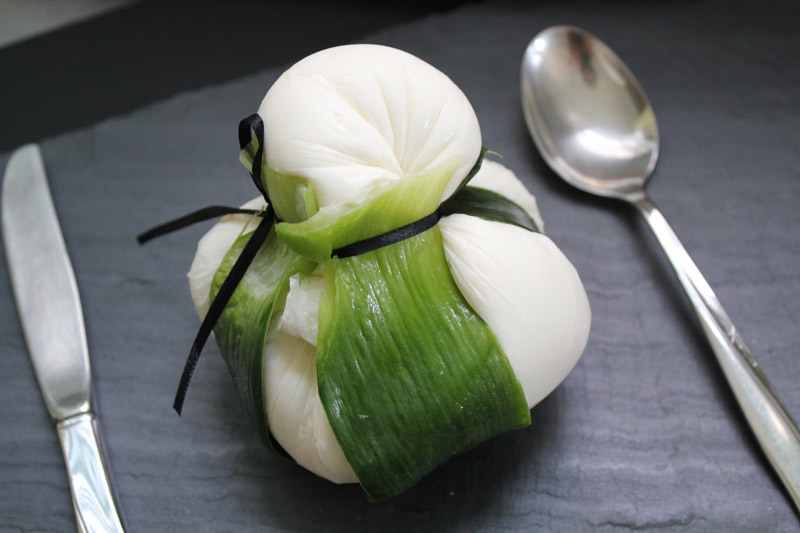 It’s a fresh mozzarella compress wrapped around a scoop of glorious cream and bound together with leeks.